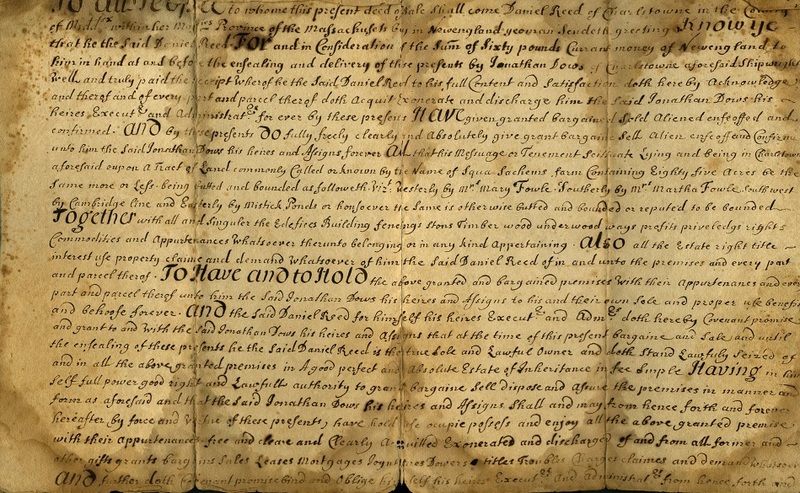 In 1711, Daniel and Susanna Reed mortgaged land to Jonathan Dows, a shipwright. They mortgaged this land a week after purchasing it from Samuel and Martha (Fowle) Lybourn. The land consisted of eighty-five acres, including Dows’ tenement home. The land was located in Charlestown (now Arlington) and previously belonged to Squaw Sachem.